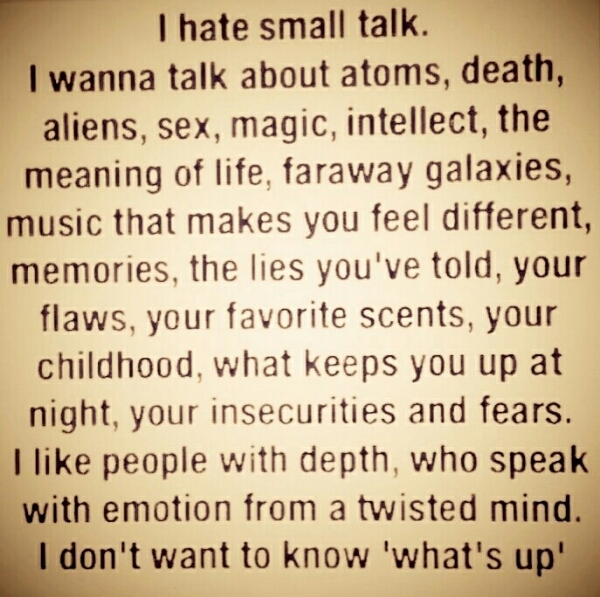 I love this.. Small talk is nice but..
Posted on January 13, 2017, in Misc pictures and tagged small talk or real talk. Bookmark the permalink. 1 Comment. Not a fun of small talk. How r u and what’s ups-ppl r really annoying.